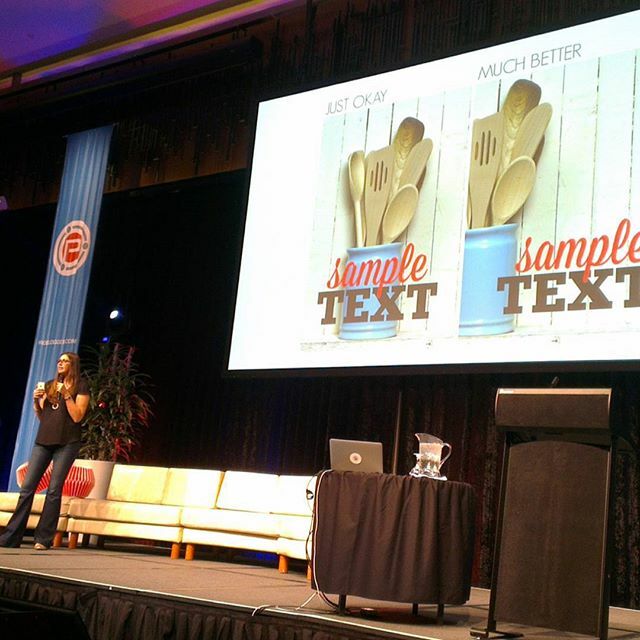 A few weeks ago a group of giddy Canberra bloggers headed to Problogger at the RACV Royal Pines Resort on the sunny Gold Coast to soak up all we could about blogging – along with nearly 700 other delegates. Three of us went with a special mission: to meet Living Well Spending Less author Ruth Soukup, one of the keynote speakers of the event. 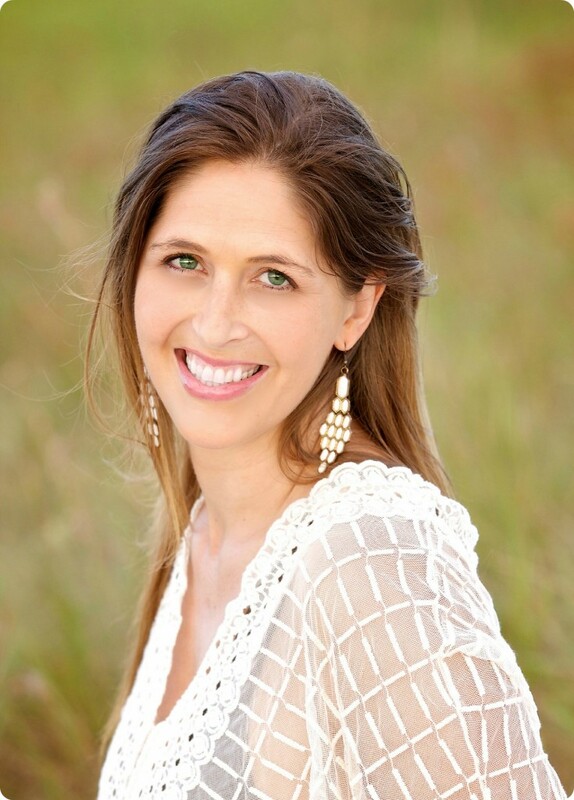 Ruth blogs at Living Well Spending Less, one of the most popular personal finance blogs on the internet. She has also authored five books, including Living Well Spending Less which is a New York Times bestseller. And with all of this success she is a relative newbie having started blogging in 2010. She now blogs full-time. In fact her blogging is so successful that her husband was able to quit his job as an aerospace engineer (which sounds like a cool kind of job, but apparently he hated it). I was the first in our group to spot Ruth. I snuck in (rather guiltily) to Problogger a bit late, while Darren Rowse was on stage giving the opening address. As I tried to sidle into a seat, I happened to notice Ruth standing in a back corner listening intently to the talk. She was wearing gorgeous dangling earrings, and I wondered if she was a fashion blogger rather than a frugal one. “Hi, I’m Serina from Ms Frugal Ears,” I said, with false bravado, as I ran past. I was surprised at how approachable she seemed to be. Later that morning I and some of my frugal blogging friends sat rapt in the front row as Ruth outlined how to make a pin on Pinterest really ‘pop’. There was so much I had to learn: her pins were cracking good and popped like popcorn. In contrast I had an account with a couple of photos on it, no descriptions and five followers. But it wasn’t until the evening function that I, and some other Canberra frugal bloggers, got to chat with Ruth more over a steady sea of champagne (beer in her case, simple beer rather than craft beer). She was incredibly down to earth and approachable, said all the right nice things about her family’s trip to Australia (she said Australians were the friendliest people ever! and assured us her husband and kids were having a fun time), and surprisingly for a blogging mega star, humble to the point of being almost shy. 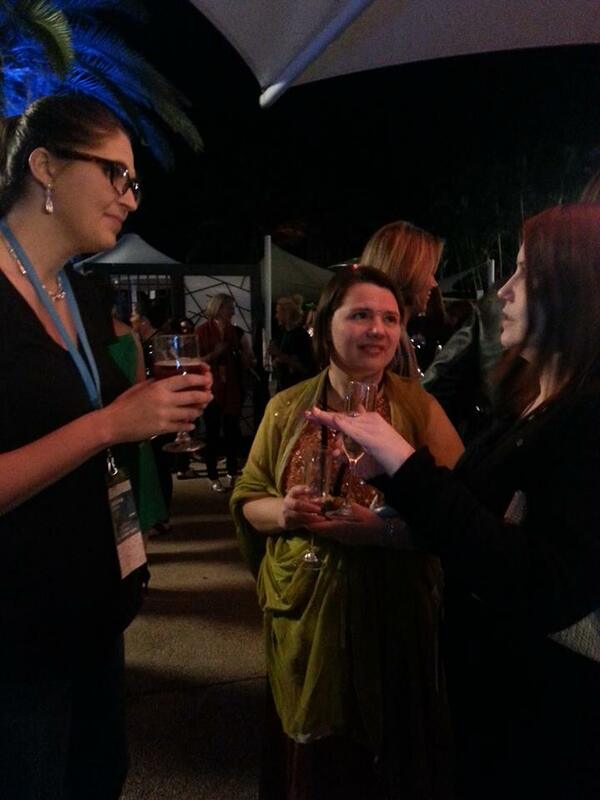 A friend and I chatting with Ruth Soukup at the networking function at Problogger. Can you notice me pretending that I hobnob with blogging superstars all the time? Why did you start blogging about living well and saving less? My husband and I seemed to be always fighting about money. I spent too much money shopping. I just love Target. You have really cool Target stores in Australia, too. They are awesome. I started blogging about living simply with less as I was reducing my retail spending. You have taken a determined path as a blogger, and appear as very confident. Have you ever doubted your ability? Often. What I did was to find an accountability partner, someone who would keep me honest and true to myself. Where do you see yourself on the frugal spectrum? Are you an extreme frugalista, or are you more moderate? I am definitely not at all extreme, and see myself as quite moderate. Some of my readers comment on that. I have been criticized for not being frugal enough, and also for being too frugal. But our lifestyle, and my blogging, has enabled us to fully pay off our mortgage. We also have an investment property that almost pays for itself. What does your family think of your frugal lifestyle? Did they have a hard time adjusting? Have your girls forgiven you for taking away their toys? I think my husband loves it! Money was a huge source of tension for our marriage, so getting on the same page as far as our finances are concerned has been really good. I don’t really think of it as “frugal” per se, but more that we save where we can so that we can spend where we want, and that we are much more purposeful with our spending. For instance, we share a single car–a 2002 Chevy Tahoe–because we don’t really drive that much, and neither of us mind driving an older, beat-up vehicle, but when we had the opportunity to travel to Australia as a family, we didn’t think twice. Our kids haven’t been any worse for the wear, and they were never that upset in the first place when I took away their toys. And they still have toys, just not as many! How do you teach sound money habits to your children? The biggest thing we are trying to teach them is that money comes from work so they learn to really value what they have. They saved up all summer to have spending money for Australia, and they loved being able to have the freedom to buy their own mementos. Growing up, my own parents refused to talk about money–it was totally taboo–and as a result, I entered adulthood with zero money skills. I don’t want that for my kids, so we talk about money & budgeting a lot. Does your decision to live simply well affect your social life? I’m not sure–I’ve never really thought about it! My husband and I love to entertain so we often have people over to our house, rather than going out. Great post and interesting questions to ask Ruth. Sounds like you had a great time and learnt a lot. Yes, Problogger was amazing and Ruth was very generous in being so approachable.